I really think Im on a right path in nailing that certain Alex Boyd Ork-look now am I? The addition of well thought-out, carefully placed and detailed equipment adds to an already interesting model. Looking awesome, have to agree the gear piled up on his back is excellently done and adds a great deal to the overall success of the piece. Amazing work! Alex Boyds Orks are my favourite by far and you’ve done a wonderful job rendering one in 3D! Bravo, sir! That is a seriously cool model. Excellent sculpting Mikko! 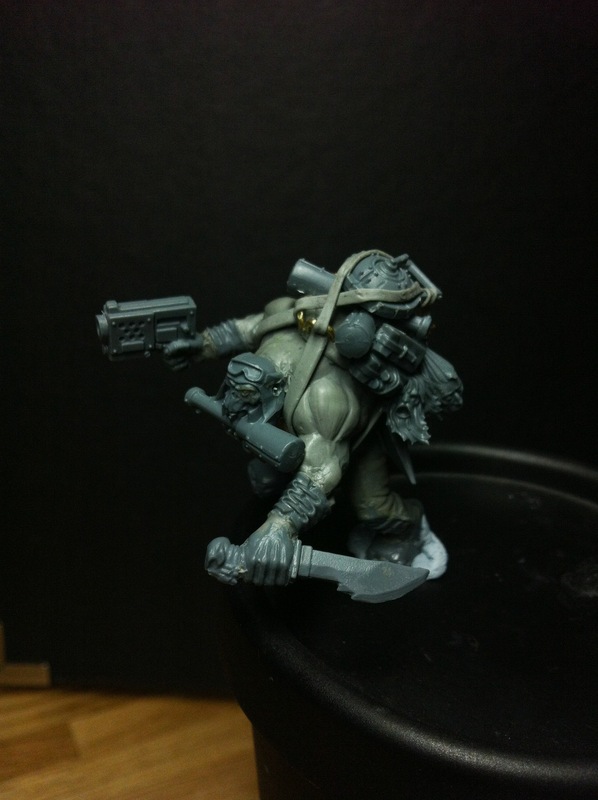 He only need a scope and a silencer on the slugga and he´s ready for action! Dang, that is just ffing cool! Looks great Miko! 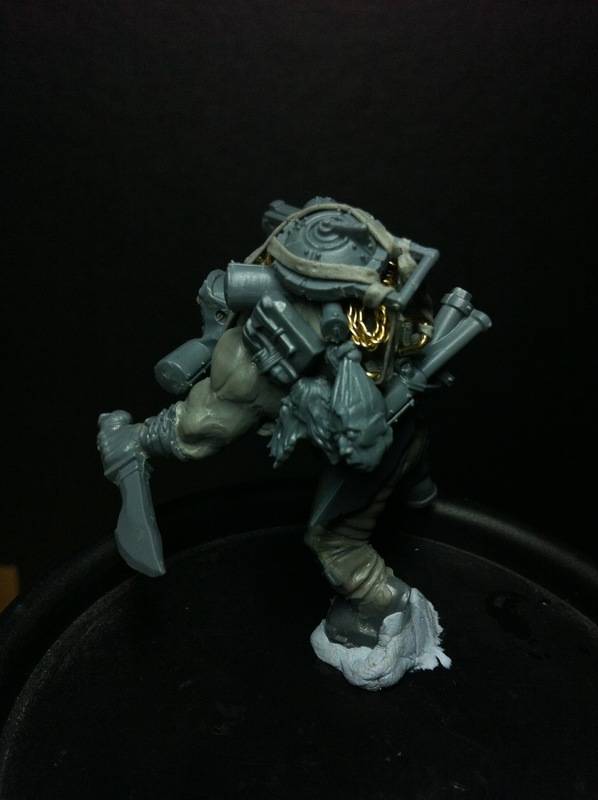 I thought the naked ork looked a bit unbalanced in the first WIP but with the addition of the gear everything looks good. I can tell a lot of thought went into the placement of the gear. Will you convert the whole project to this standard? Brilliant Mikko. That looks just like it should.